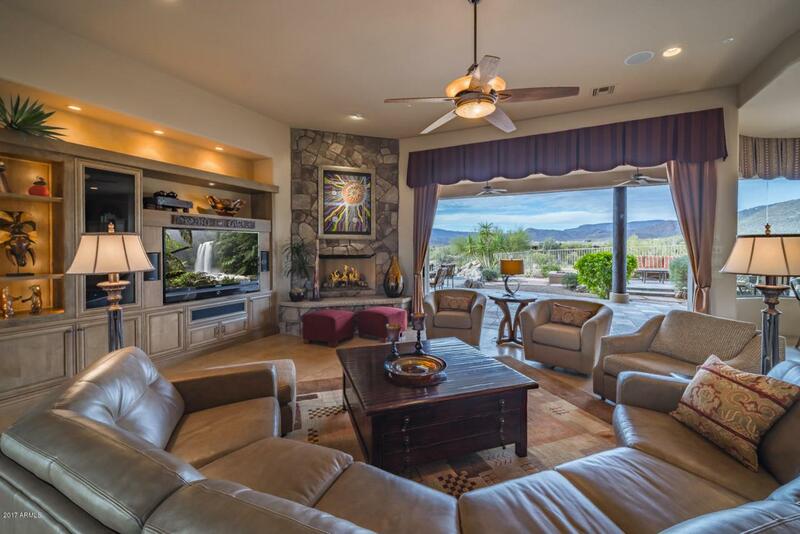 Stunning ridge top Carefree home with panoramic mountain views and incredible sunsets! 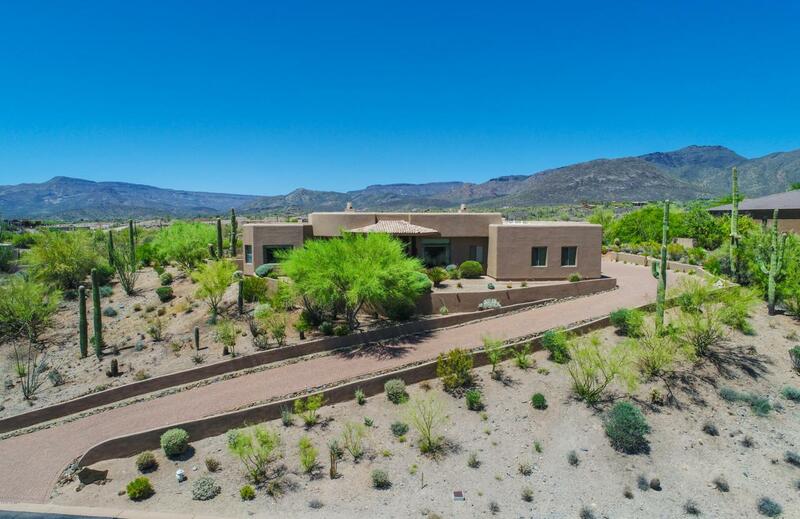 This Arizona dream home offers a highly desired Great Room floor plan with a wall of pocketing glass doors to bring the outside in. 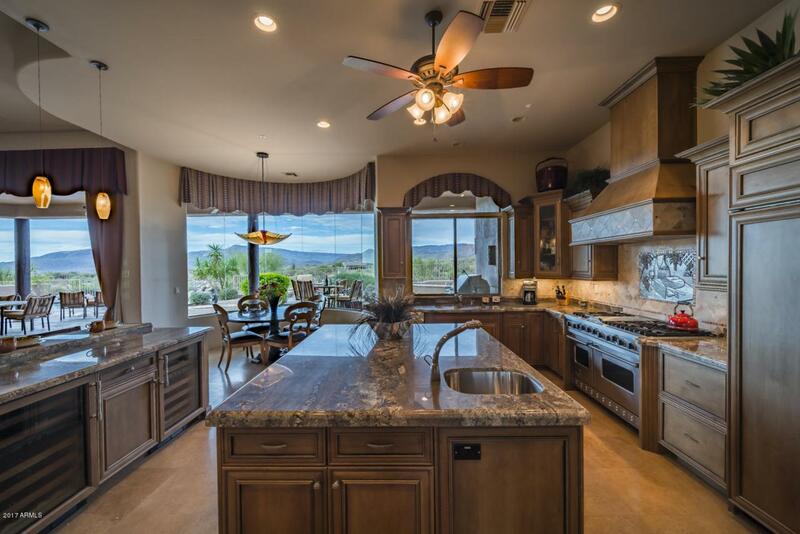 A chefs dream Kitchen awaits you with professional Viking range, Subzero appliances, eat-in kitchen and bar seating, plus an elegant formal Dining room. 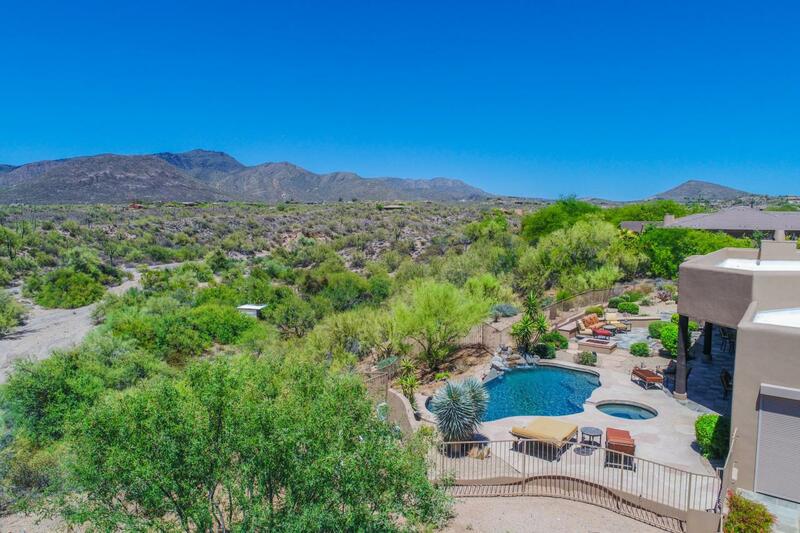 Entertain in your backyard sanctuary with a sparkling negative edge pool, spa, fire pit, bbq station & multiple lounging areas. Soak in the sunshine and starry nights, or choose to relax in the shaded north Patio. Privacy for all with a Main Master Suite plus 2 large Bedroom Suites. The classic library-style Office also enjoys mountain views. Both the professional decor and the quality detailing are timeless and beautiful!